The final test was plagued by bad weather, but not before providing India with a 2-1 victory over Australia in the series. This would also be the first time India has won the test series in Australia since first touring the land down under back in 1947. Read more about it from Times of India. India makes a come back by 137 runs to best Australia in the 3rd Test, leading the series 2-1. We now head to Sydney for the fourth and last test starting from 3 January @ 10:30AEDT. Australia bounced back by 146 runs to best India in the 2nd Test, drawing the series 1-1. We now head to Melbourne for the third test starting from 26 December @ 10:30AEDT. India beat Australia by 31 runs to take the lead in the 1st Test of the series. This is also the first time an Asian caption (Kohli) won Tests in England, Australia and South Africa. We now head to Perth for the second test starting from 14 December @ 10:30AWST. With all of their bases covered and Australia slipping to No. 5 in Test rankings on top of doing without their two premier batsmen, is it time for Kohli & Co. to end India’s 70-year wait? The Aussies have lost an unprecedented 12 of their last 26 Tests whilst India have won 11 of their last 15 Tests, it seems fairly likely that they’ll put on a great show and finally take down the Southern giants at their own home. 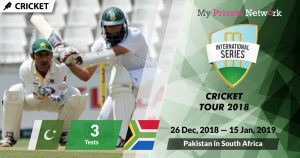 The four match Test series kicks off Thursday, December 6 and run’s through to the 7th of January, 2019. Live Stream: Starting on 6 December (Thursday) at 00:00UTC | 11:00AEDT (Eastern AUS) | 10:30ACDT (Central AUS) | 08:00AWST (Western AUS). Know your timezones? Use WorldTimeBuddy.com if you want to check your timezone accurately. Our UTC timezone is set to GMT+0, AEDT timezone at GMT+11, ACDT timezone at GMT+10.5, and AWST timezone at GMT+8. 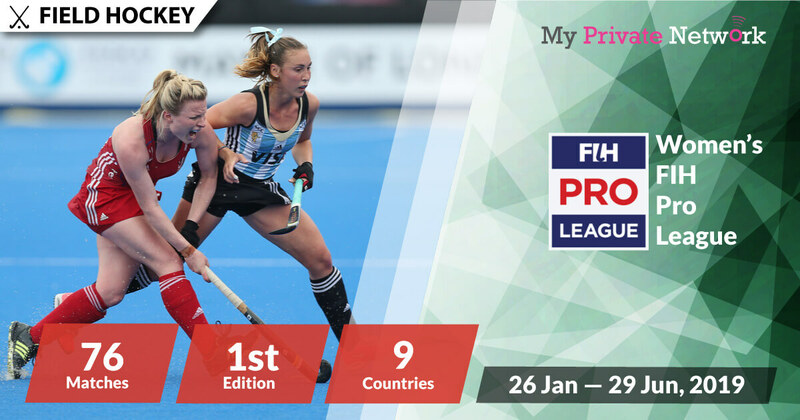 If you’re not currently in Australia, India, New Zealand, or South Africa then you’ll need to connect to our VPN first before streaming the matches from your usual providers. 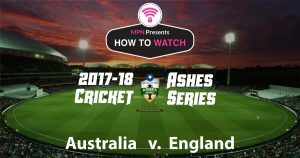 2) Install our VPN on any device that you’ll be using to watch the 2018 Australia v. India Cricket Tour. 3) Connect to our Australia (AUS) for Channel 7 and Fox Sports, India (IND) for SonyLIV and HotStar, New Zealand (NZL) for Sky Sport NZ, or South Africa (ZAF) for SuperSport. Channel 7 will be providing full live coverage of all 4 test matches for free. Availability: Australia only – Connect to our Australia (AUS) servers first before starting the stream! 1) Head to the 7Plus website or download the 7Plus app on iOS or Android. Note: The 7Plus app on mobile doesn’t seem to work well based on the latest reviews. Use the app with caution. Tip: Australia v. India Cricket Tour will be airing live from 6 December on Seven Live. Fox Sports will be providing full live coverage of all 4 test matches. However, you’ll need a paid subscription with them to access their content. Availability: Australia only – Connect to our Australia (AUS) servers first before starting the stream! Tip: Australia v. India Cricket Tour will be airing live from 6 December 2018 on Fox Sports. SonyLIV will be providing full live coverage of all 4 test matches for free (5-min delay). Availability: India only – Connect to our India (IND) servers first before starting the stream! 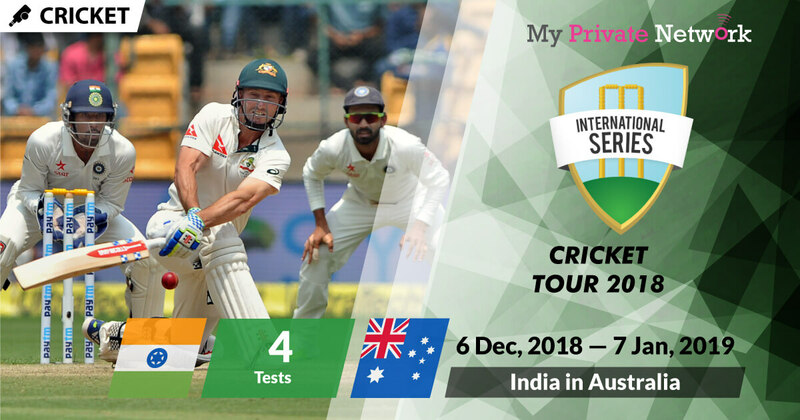 Tip: Australia v. India Cricket Tour will be airing live from 6 December 2018 on SonyLIV. Live matches will only be displayed accordingly when the live match starts. HotStar will be providing full live coverage of all 4 test matches for free under their 10 minute trial. Availability: India only – Connect to our India (IND) servers first before starting the stream! 1) Head to the HotStar website or download the HotStar app on iOS or Android. Note: Unfortunately, after testing HotStar on iOS and Android – it appears that they are now blocking VPN connections to its service. However, our MyTelly (Smart DNS) service still works fine with HotStar as long as you’re using a Wi-Fi connection on your mobile device. Contact us via email if you need any assistance. Tip: Australia v. India Cricket Tour will be airing live from 6 December 2018 on HotStar Cricket. You will see the live stream link available when the game is on. Sky Sport will be providing full live coverage of all 4 test matches. However, you’ll need a paid subscription with them to access their content. Availability: New Zealand only – Connect to our New Zealand (NZL) servers first before starting the stream! Tip: Australia v. India Cricket Tour will be airing live from 6 December 2018 on Sky Sport 2. SuperSport will be providing full live coverage of all 4 test matches. You’ll need a paid subscription with SuperSport to access their content. Availability: South Africa only – Connect to our South Africa (ZAF) servers first before starting the stream! Tip: Australia v. India Cricket Tour will be airing live from 6 December 2018 on SS 2. We hope you found this article informative and useful. Please feel free to share it with your friends or family that want to watch the Australia v. India Cricket Tour too!